Just like most plants, cannabis plants don’t enjoy the transplanting process too much. It is an operation that is not that difficult, but it will affect the plant roots and thus the entire plant. In a positive or a negative way. A plant with affected roots will invest more time in healing and restoring its roots, instead of growing well. So, while the risk of losing your cannabis plants is high, improper transplanting can lead to poor-looking plants and a small yield. 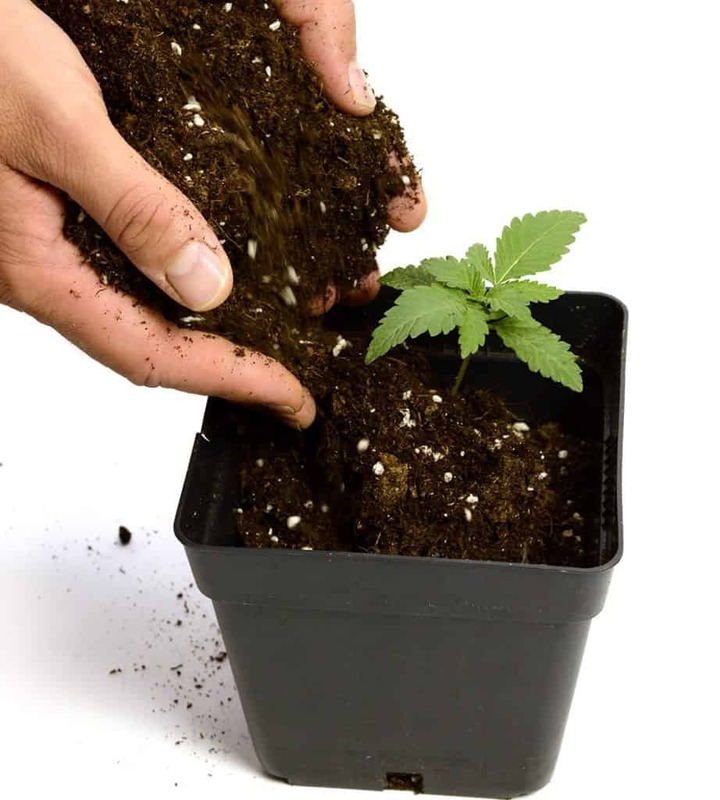 Transplanting cannabis plants is a very good idea if you want to re-pot them into some new and larger containers. However, transplanting is a very delicate process. It can take a little while to get it done properly, and for the most part, it can pay off very well if you do it right. But is it mandatory to start transplanting cannabis plants and when should you do that? Let’s find out right away! 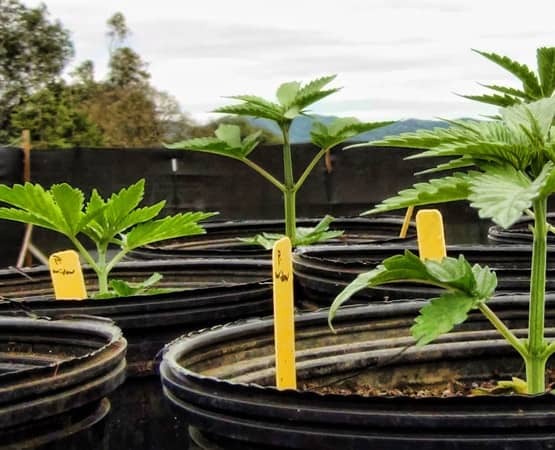 If you panic at the thought that you will have to transplant your cannabis plants and you lack experience in this sector, it is worth knowing that patience and research can make things happen. Thus, in the following lines, you will find a comprehensive guide on how to correctly transplant cannabis plants. With this guide and a lot of care, your cannabis plants will thrive. 1 Why should you transplant the plants in the first place? 2 Where is it best to transplant the plants, outdoors or indoors? Why should you transplant the plants in the first place? You may be tempted to think that transplanting the plants is not necessary if they appear to be thriving. Yes, that may be true, but it is only temporary. As the plant grows, so will its roots. So, if you don’t transplant them in a timely manner, the roots risk overgrowing and surrounding the bottom of the container. 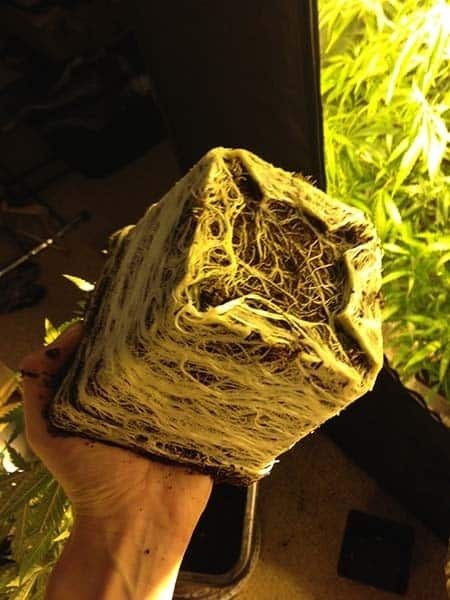 This is called “rootbound” and it is very difficult to remove a plant in this stage from the container, without harming its roots. So, avoid this from happening and transplant your cannabis plants when the time is right. Where is it best to transplant the plants, outdoors or indoors? This aspect will raise, once again, the matter of where you will allow your plants to grow undisturbed. So, you need to pick the location very well, as it will influence your success rate in growing cannabis plants in a great deal. In other words, the plants can thrive if you provide the best conditions or you can lose the entire lot. Also, you need to consider safety issues, so choose your locations smart, as you won’t be able to move them once they reached maturity. Growing your plants indoors will give you a bigger degree of control over the environmental factors. But, for this, you need to make sure you have sufficient space to house all your plants as they grow. Also, you will need proper lighting, heating or ventilation, according to the case. So, larger containers, in this case, will do. Many experienced marijuana growers recommend doing this indoors, as it is easier to keep an eye on the conditions surrounding the plants and make the necessary adjustments when needed. Being able to control everything will definitely increase your chances to grow beautiful plants, but it will also generate more costs. This is due to the fact that you will have to provide everything the plants need in order to develop well. If the environmental conditions where you live allow you to grow cannabis outdoors, you can also do this. There are many people that prefer this method, due to the reduced budget and effort requirements. Practically, the plants will have everything they need in a natural manner. Thus, your intervention will be minimal. Just do have in mind that cannabis plants have the ability to clean the soil and extract everything out of the place where they grow. So, ideally, when looking to grow cannabis plants in the outdoors, you should make sure that the soil is clean. Also, consider a safe place where you can easily access your plants, so you can check on them whenever you need to do it. Even if the plants are still young, the will already have grown a good root system meant to absorb nutrients. 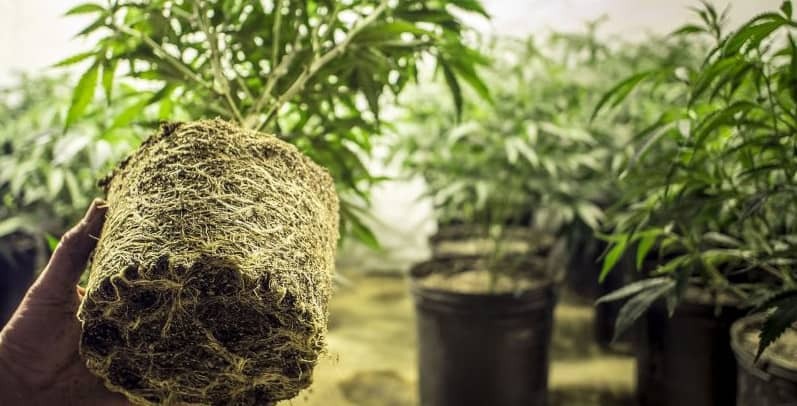 So, when this root system is solid enough, it is safe to transplant the cannabis plants to larger containers or even outdoors, if you have proper environmental conditions. It is easy to tell when the roots are large enough, as they will start to appear at the bottom of the container. 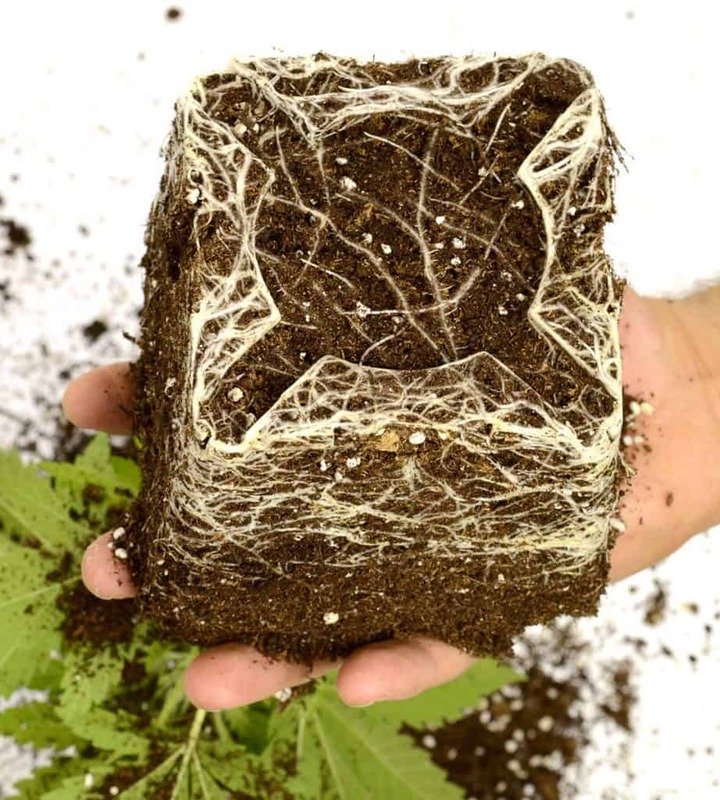 So, if you see the tips of the roots trying to get out of the container through the holes in the bottom, you need to start taking care of transplanting them as soon as possible. You need to bear in mind that you should do this operation with extra caution. If you hurry or do something wrong, you can easily lose a plant this way. Before you even start transplanting your plants, you need to decide where you will move them. You need to pick a place or container that is large enough to allow them to reach maturity without a problem. Unfortunately, this is not something you can avoid. Whether you like it or not, you will have to transplant your plants, if you want to enjoy a satisfying yield. It is very important to choose this moment right, so it won’t be too soon or too late. Too soon will mean underdeveloped roots while too late will mean rootbound plants. The best way to check on this is to periodically check the bottom of the containers. If you can see roots peeking through the drainage holes, your plants are ready to be transplanted. Do not leave your plants in a container that is too small for too long, as they will stop growing. You can also watch the development of your plants. The number of leaves the plant has can also indicate when it’s okay to move them from their small containers. In the 5th day after their sprouting, you should be able to see the first two real cannabis leaves. In the 12th day, the plant should start to resemble with a miniature cannabis plant, presenting three sets of leaves. This is when you need to find a new location for your plants, as transplanting can occur. Try not to transplant your cannabis plants while they are still in a seedling phase. Their roots are way too fragile at this point. This phase lasts for approximately 6 weeks, so you can only start considering the transplanting process after this phase completes. 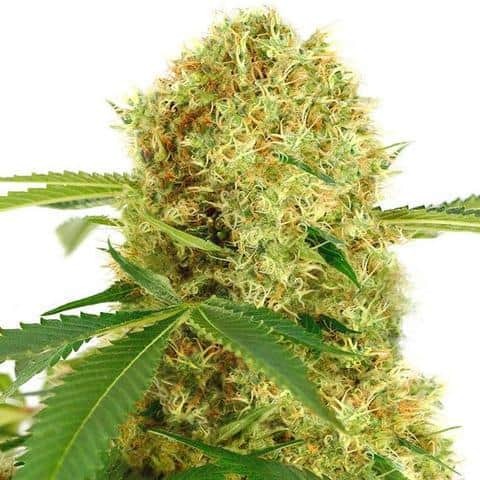 Once you can see a rapid growth of leaves and also a stem that is firmer, you will know that the plants entered a vegetative state and you can move them to their new location. You can test the firmness of the stems will your fingers. Just make sure you do this gently, avoiding to damage the plants. At this point, you will already have picked a proper location for your plants. If you chose to grow your plants indoors, you should have new containers ready. They should be large enough to suit the plant until it reaches its maturity. Also, you should know that you can also place your plants in containers and move them outdoors for a determined period. So, this mixed solution can also work, with a bit of care and attention. A container should have at least 4 gallons if you want to make it a permanent home for your cannabis plants. Before moving the plants to their new containers, make sure that you have high-quality soil ready. The soil is one of the most important factors that influence the growth of a plant. In case you are moving the plants outdoors, you will just have to dig a hole and place the plants in it. Make sure the hole is large enough and place the plants in the new hole together with the soil they’ve grown in. This will reduce the shock generated by a change in environment. Also, don’t throw away the soil you removed from the holes. 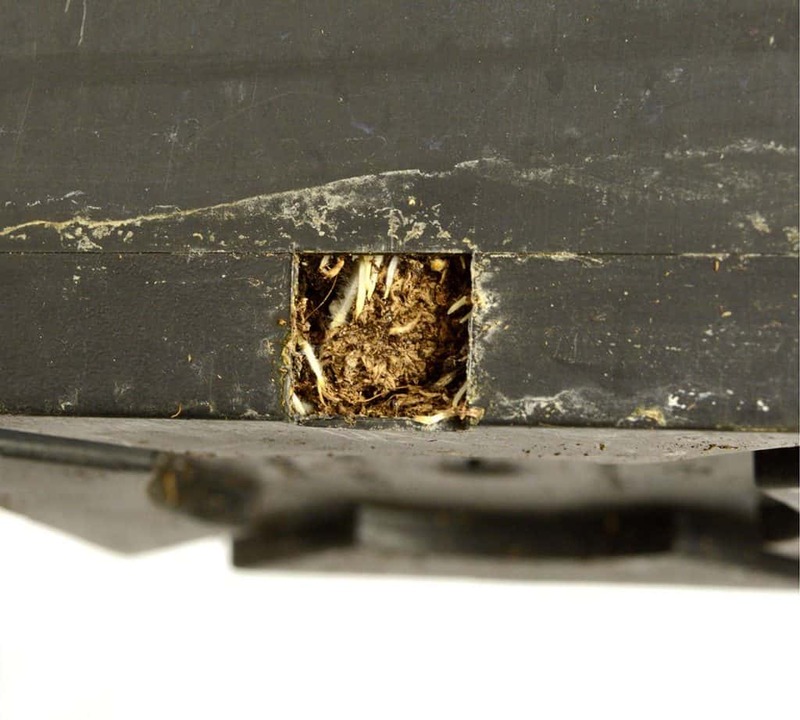 You will need it for pushing it back in the hole and around the plant once it is positioned right. For the plants that will grow in containers, choose a high-quality soil that will allow proper drainage while offering a good amount of nutrients. Also, believe it or not, the state of the soil in which the plants developed so far also plays an important role. First of all, it should have an adequate level of moisture. It shouldn’t be too wet or too dry either, as you will find it hard to work with. If the soil in the container can keep its shape, it will be easier to transplant a plant this way, as the soil won’t move its roots from their position. Half-fill the container with either soilless mix or soil. You need to be certain that the current root ball is sitting comfortably You will then have to press the soil a bit too. This will make sure that you have a firm consistency. You will also get a good drainage if that happens, so that’s very important. Now you will need to take the plant and then grasp it by the base of the stem. Grip the pot base at the same time. You have to upend the container. Keep in mind that the process can be a bit messy. That’s why we recommend you to use some plastic sheeting if you can, as it will make things a lot better and easier for you in the end. Tap lightly on the base of your container. As you do that, pull the plant with the other hand. Now you will be able to slide the plant out without a lot of resistance. The root ball now needs to be placed into the container. You will then have to add soil in order to surround the root ball. This way you can be certain that everything is packed in and ready to go. It helps immensely, and it offers great convenience and value due to that as well. In order to perform a correct transplant, pick up the container with the plant and slowly turn it upside down. At the same time, prevent the soil from spilling out while keeping the stem of the plant between two fingers, to protect it. Just be careful not to squeeze the stem meanwhile. With the other hand, continue flipping the container until the block of soil held inside will slide out. The idea is to catch this block of soil, which also contains the roots while offering adequate support to the plant’s stem. You should now begin positioning the plant in its new container. The container should already be partially filled with soil, as the plant is too small at the moment and you need to keep it close to the surface. So, the new container should have a sufficient amount of soil, so that when you put the plant in it, together with all the soil it had in the former container, it will have a proper position. You should still be able to water it, so don’t sink it too deep in the new container. Of course, you will have to complete the empty spaces around the plant with more soil. Do this once you are sure the plant is in a steady position. You need to understand that this particular task can be very stressful for your plants. That’s why in many situations growers will leave the plants unwatered for around 1 day before the process takes place. Sure, it’s not ideal to have very dry soil as it makes the extraction more difficult. But on the other hand, watery soil will make it harder to extra the roots without any damage. So you need to take your time and use that to your advantage if you can just keep it in mind so you can get the best results. What you will have to do here is to focus on the overall quality offered by the transplanting process. You need to make it fast, convenient and you also need to avoid any potential problems and challenges that may come your way. It’s not easy to start transplanting cannabis if you don’t have the right tools. Some people recommend avoiding this process if it takes place during the winter for example. You should perform this in a place that’s warm because any weather-related changes can be very challenging. Consider that, and the results will be quite amazing due to that reason alone. You just have to take your time, and the outcome will be second to none at the end of the day. You have to realize that the process of transplanting cannabis plants is going to take a while if you have many cannabis plants. But then again it’s worth it because you will get to nurture and grow your plants in a meaningful way. It’s definitely worth it, and it can bring in front some very impressive results all the time. You just have to take your time with this, and the return on investment can be a tremendous one in the end. Once you finish the transplanting process, you can add some nutrient solution. That will be very handy for you because it can bring in front some good opportunities and the options will be extremely good due to that. But do not overdo it, especially if the soil is well pre-fertilized for repotting. The reason why you need to add some nutrient compounds is that your cannabis plant will try to acquire nutrients, and it will need as much as you can give it. The more you focus on that and take care of the plant, the better it will be in the end. If you want to make the environment friendlier for your plants, you may also want to lower the light intensity. This is very important because you want your plants to have less stress. Especially when you are re-accommodating them to a new place. This type of system does make a lot of sense to focus on, and the overall return on investment will be a tremendous one in the end. These little adjustments may not feel like much at first, but they make all the difference in the world. You need to take your time as you adjust everything and the more you do that, the better it will be. Remember that you have to study the situation the best way that you can. You will need to make adjustments on the spot, and the return on investment can be a challenging one most of the time. You will also notice that the process of transplanting cannabis plants is ok for most cannabis plants. They are hardy enough to tackle such a challenge, however there are some strains like sativas that are more delicate when compared to others. That’s why you need to take your time as you make the right pick here. It’s one of the best investments that you can make in such a situation, and the ROI is well worth the effort. Plus, you need to realize that when plants are very small, they are delicate. So the first transplanting process is definitely going to be the more difficult one. It still makes a lot of sense to use such an approach, and the return on investment will be a very good one in the end. It’s a great opportunity to consider that and in the end that will be quite handy. You just have to make sure that you prepare properly and you take everything you can into consideration. You can never take too many chances, just make sure that you adapt everything to your needs and expectations. It’s a good option to keep in mind and one that you will enjoy the most in such a situation. Just remember, the outcome is great for the transplanting process as long as you don’t rush it. The last thing you want is to cause any stress, as that can easily lead to problems all the time. It’s a really good idea to adapt to the situation and to tackle this correctly and in a meaningful way. Once you do that, you will be happy with the result and the value as a whole will end up being among some of the best on the market. While transplanting cannabis plants may feel difficult, that’s not the case. 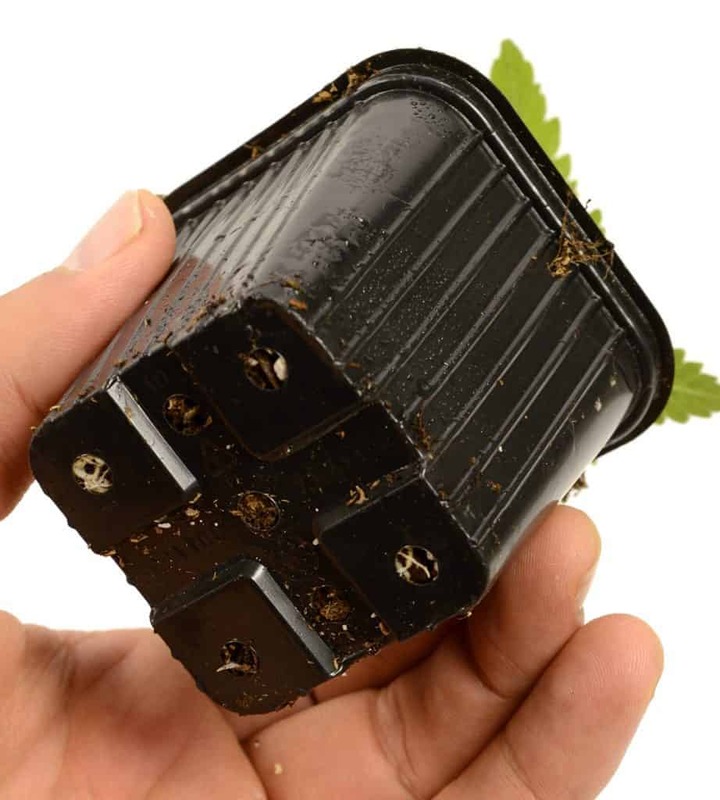 It’s a great way to help your cannabis plants grow, and it will offer some amazing results in the long term. We recommend you to try out this great process, and you will see how well it can work for you too. Study the way your plants behave, and if they need water often or if they outgrew their pot, you will have to complete this task as quickly as possible.